Seeing floral print everywhere, makes me want to frolick in the flowers! It brightens my day BUT I have seen some really crazy things with overloading your floral with more floral. 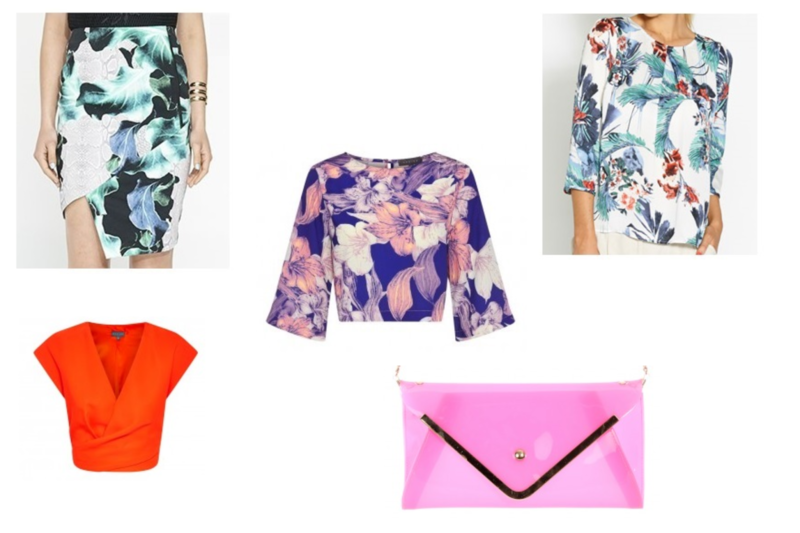 Now, if your not an expert - start your floral clash with two pieces only! Not a top, a skirt, with a floral bag and necklace. Ease up cowboy and start small. I love to mis match and play the look up with complementing lips and jeweled necklaces and earrings. One you start to feel content with the look, you will evolve. Here are some pieces that we think you can start with!